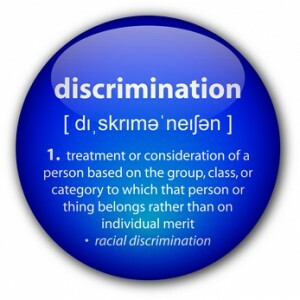 “Bjorn, you and I are victims of age discrimination!” I was chatting with a young doctor friend of mine recently and he was fuming. No matter how much time he had spent in school and no matter how successful he had been so far in life, he was still getting patronizing jabs from fuddy duddies with nothing better to do than critique a young up-and-comer. We have all experienced it. It seems like regardless of your abilities, older people always bring up your age as though it were a weakness. “She’s got talent but she’s sooo young.” Consciously or just out of habit, well-meaning plodders refer to you as “the kid” and make snide remarks about your “youthful exuberance”. I recently heard one of my younger colleagues being referred to as “such a good boy”. It was meant as a compliment. I wanted to throw up. A CEO friend of mine told me that because he worked in a professional white collar environment he had been very inpatient to turn 30 so the comments about his age would fade away. When he finally turned 30 nothing stopped. “You’re only 30!” people would exclaim. He realized that nothing would change in a hurry. The frustrating thing is that age-based discrimination can actually hurt you on your mission of savvy, global do-gooding. Age discrimination actually changes people’s perception of you. It is not just a case of having to endure patronizing comments and attitudes. Youth can actually hold you back when the wrong people decide to make age an issue. I have brought this up with several business execs to get their opinion. All of them empathized. One of them claimed that the “too young” label was the story of his life. In one job he had been the boss of an older man who came from a culture where it was culturally inappropriate to have a boss that was younger than you. My exec friend had to walk around on egg shells even if he was boss. The best advice I ever got was from the first hospital CEO I ever worked for. “Calm down Bjorn. Enjoy your life. There will come a time when you are no longer young.” And there you have it. You are too young until you are too old. My senior manager bosses in the past 8 years have been young. I have no problem with them. My latest boss just turned 40 but I like him because he is smart, a good cook, and a lot of fun. Yeah… unless you work with your hands or are a sports player or something, it’s gonna happen. Although… some people manage to exude a presence that is older than their years. Therapists, actors- people who listen and observe as an occupation… I think those that engage with the soul a lot all have that timelessness about them. Anyway, good luck. And I like your youthful exuberance! I like the idea of engaging with the soul a lot.. I wonder if that is more of an mindset than a professional discipline…. I am not telling people to do this, but when people attack me, I attack back. When people use the age thing, I just use it against them. It usually makes them aware of what they are doing and they stop. Depending on how they do it and their general tone, my comebacks can range from angry to a funny jab. The result is I rarely have sustained problems with anyone. so give me an example… what kinds of things do you offer as retorts?